Disney has announced three new policies today. Two will begin on May 1 and the third begins today. The two new policies that will begin on May 1 involve strollers in the parks and smoking in the parks. Stroller size and smoking inside the parks are addressed in these new policies. Beginning May 1, Disney will not allow strollers larger than 31″ wide and 52″ long into the parks. I spent some time looking up different strollers, including double strollers, and it looks some double strollers fit these dimensions, which is good news for those planning to bring double strollers. Just be aware of the size of your stroller before you leave for your trip so you are not met with any issues entering the parks. It sounds like Disney will be measuring strollers they think are over the measurement limit, so if you are unsure about your stroller I would measure to make sure it doesn’t exceed the size limit. Disney is also reminding guests that wagons are not permitted in the parks. To add on to this existing policy they have added that beginning on May 1 stroller wagons will also no longer be permitted. The reason is that Disney is trying to help the flow and ease the congestion in the parks. Also beginning on May 1, Disney will no longer allow smoking inside the parks (this includes vaping). This change includes both Disney World and Disneyland theme parks, water parks, ESPN Wide World of Sports, and Downtown Disney in California. There will be designated smoking areas outside the entrances of these areas. Disney Springs and Disney Resort hotels will also have designated smoking areas. Beginning today, Disney will no longer allow loose or dry ice in coolers or cooler bags. I imagine this is due to safety concerns, because security needs to be able to see in all bags when going through bag check. Disney recommends using re-useable ice packs instead. They also note that there are complimentary cups of ice available at Food & Beverage locations inside the parks if guests need them. I’m sure these new policies will make some people happy, while upsetting others, it happens anytime there are changes. Just please keep in mind that Cast Members don’t have anything to do with these changes. The Cast Members are just doing their job by enforcing the new policies. « Where is it Wednesday: Where in Disney World is this Area Located? Even though I am a smoker I like this. I’m really sick to see cigarette butts everywhere on ground when they have places to put out. Now I wish they would do something about alcohol. My family goes every year and we always see people drunk and spilling there drink on people. One year someone ran into me and spilled their drink on me! Made me sick and I don’t even drink. I think the smoking changes might be hard on fathers. I know my husband smokes and there are always others dads in the area when we have been there. Now they will have to leave their Family and go all the way back to the entrance to smoke. Just seems reallly inconvenient for the whole family. There are areas to smoke in. 2 per park. People that don’t smoke do not have to go by they are set off. As a smoker and a avid Disney vacationer I feel very upset about this. Disney is now against the smokers. Over the years I have seen less and less areas. I am ok with that. But to have us go all the way out the park is ridiculous. I will have to think about vacationing there. As I go every year. My daughter and I have been going too Disney every year for years,2 weeks at a time ,mother daughter trip,I am a smoker also.I never had a problem with the smoking areas off the path for us and appreciated them,absolutely keep us smokers away from the public areas but now too say I have too keep going all the way out of the parks back and forth too smoke,I am Canadian and the exchange alone makes our trips very,very expensive but because we love Disney we keep going back.Im sorry but this has gone too far and I feel a bit descriminated against because I smoke .Our trip this May,will be our last . This new smoking area policy is not a good idea. There is already such limited areas to smoke and many people smoke where they shouldnt be due to this. 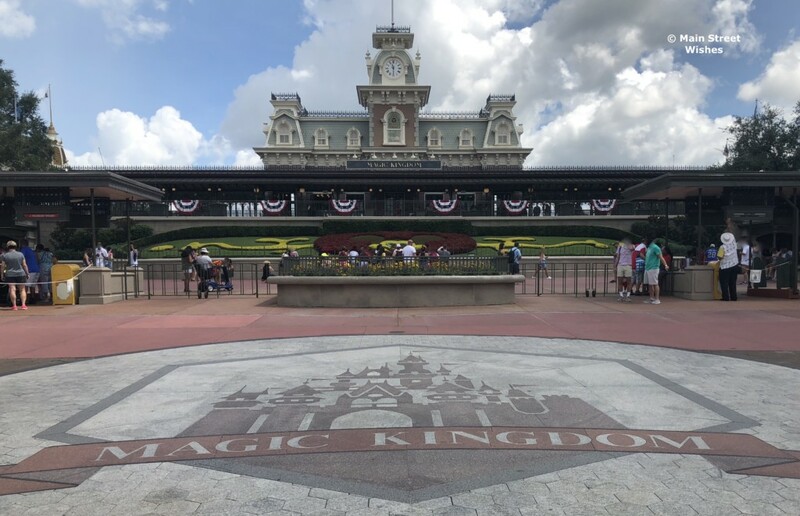 Its a long day in the parks and this will certainly affect attendance. Maybe an alchol ban should also be looked at. I agree with you,thank you!